An epic saga of the Soviet Union's brutal first decades-from The New York Times bestselling master of espionage. Hailed as "the American le Carré," Robert Littell presents an ambitious novel about star-crossed idealist Alexander Til. When Til returns from America to Petrograd on the eve of the October Revolution in 1917, it is to put his life on the line in the hope of transforming Russia. But after witnessing the birth of a new era, he watches the people, and his own ideals, trampled by the rise of Josef Stalin-with whom Til is destined to have a shattering confrontation. Taking readers from the storming of the Winter Palace to the nightmares of the gulag, The Revolutionist is a masterwork of historical fiction. 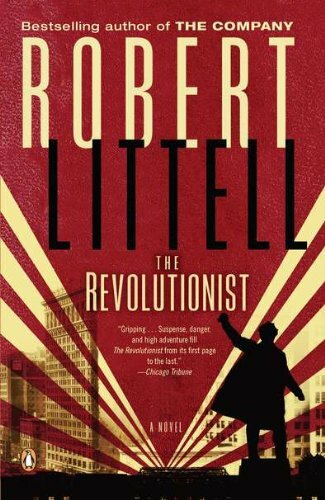 Robert Littell was born, raised, and educated in New York. A former Newsweek editor specializing in Soviet affairs, he left journalism in 1970 to write fiction full time. Connoisseurs of the spy novel have elevated Robert Littell to the genre's highest ranks, and Tom Clancy wrote that “if Robert Littell didn’t invent the spy novel, he should have.” He is the author of fifteen novels, including the New York Times bestseller The Company and Legends, the 2005 L.A. Times Book Award for Best Thriller/Mystery. He currently lives in France.